Deviled eggs are a great traditional appetizer for any party or potluck. 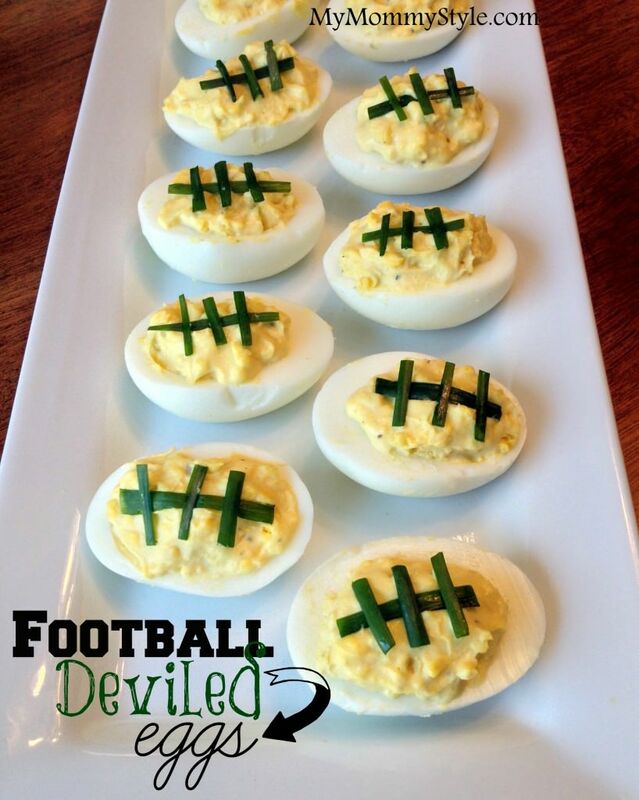 Add a little touch of green onion to make these look like footballs and you have the perfect game day snack. Place eggs in a saucepan and cover with cold water. Bring water to a boil and immediately remove from heat. Cover and let stand for about 15 minutes. Pour off the hot water and rapidly cool eggs by running them under cold water (or place in ice water) until completely cooled. Peel the eggs and cut them in half, and place the yolks in a bowl. Reserve the whites on a serving tray. Mix the mayonnaise, dried mustard, lemon juice, salt and pepper into the yolks. Spoon about 1 tablespoon into each egg white half. Add thinly sliced green onion to resemble the stitching on a football. Refrigerate until serving.